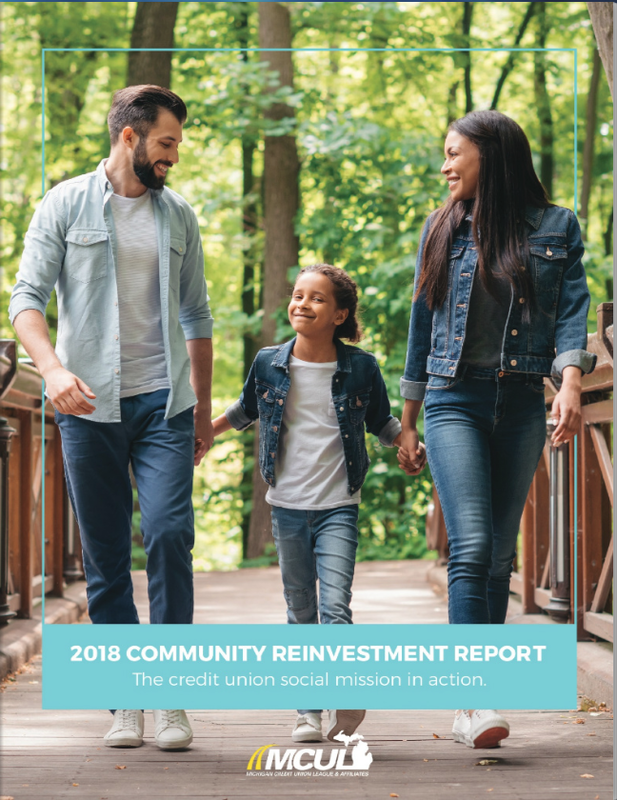 The 2018 Community Reinvestment Report reflects these developments, and as our industry has reached out to consumers, consumers have reached back, leading to significant growth in key sectors across the board. These results echo Michigan’s growing support for our industry with increased membership levels, favorable trust rankings and increased lending statewide. The Community Reinvestment Initiative is a call to action for Michigan’s credit unions. CRI challenges credit unions to elevate their social mission and community involvement to a strategic level, to make community involvement standard operating procedure. This involves two parts: CRI assists credit unions in implementing programs and products to assist members; and CRI gathers and reports data on credit union community involvement through the CRI Survey and the CRI Aggregate Report. The CRI Survey data is used to create the CRI Aggregate Report, an advocacy piece given to lawmakers in Washington, DC and Michigan. Such a strategy communicates clearly a credit union’s commitment to their neighborhoods and communities, builds consumer awareness and community good will, and finally, helps protect the credit union tax exemption. Your input is invaluable in our ability to report the many ways in which credit union membership benefits members and the broader community. The survey will cover several topic areas including financial counseling, financial education and volunteerism/community involvement. Below are some helpful resources to help you track your efforts throughout the year. Download this Community Outreach Reporting Guide for tips on what to track, how to document, reporting your impact and telling your story. Each year, MCUL conducts a CRI survey of its credit unions. CRI Survey data is used to create the CRI Aggregate Report, an advocacy piece given to lawmakers in Washington, D.C. and Michigan. Such a strategy communicates clearly a credit union’s commitment to their neighborhoods and communities, builds consumer awareness and community good will, and finally, helps protect the credit union tax exemption. Need assistance? Contact Beth Troost at beth.troost@mcul.org or call (800) 262-6285, ext. 453. Thank you for helping to tell the collective credit union story!